There’s this belief amongst many comic book fans that Batman is some sort of messiah – a godlike human being that sacrifices his all for the betterment of humanity and acts as beacon of justice. He’s shown as having suffered heartache and endured sadness to ensure that everyone sleeps better in the evening knowing he’s out there, watching and protecting us from evil. The truth is though, he’s done some pretty despicable things throughout his history. For all his heroic deeds, he’s also made some questionable decisions and choices. This doesn’t mean he isn’t a hero; just that he can be a dingbat at the best of times, too. Naturally, we need to back up these claims; thus, we’ve gone through the archives and identified a couple of his biggest WTF moments. As always, you’re allowed to disagree or even agree with us, so don’t be shy of leaving your thoughts in the comments section down below, because we read all of them. 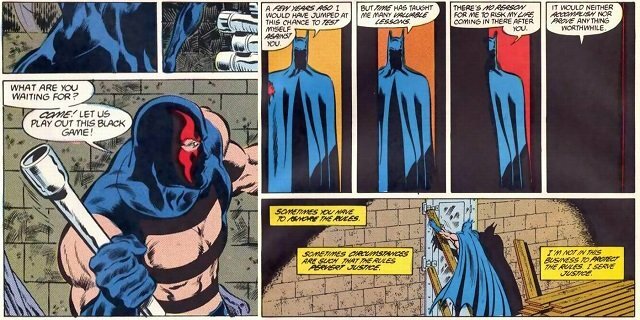 With that out the way, let’s look at the 8 things about Batman that DC would rather you forget.